We are a unique full service agency made up of Growth Hackers, Coders and Marketers that approach marketing and lead generation campaigns as technical challenges. Sometimes, this means writing bespoke code to increase leads, scale growth and drive high value sales. Our hybrid skillset of coding and marketing allows us to leverage intelligent APIs, valuable data sets and cutting edge targeting techniques to Increase Customer Acquisition, Improve Customer Retention and Generate More Revenue for your business. Our SEO team is focused on driving search engine visibility that’s highly relevant to your customers and audience. We optimise for humans, not algorithms. 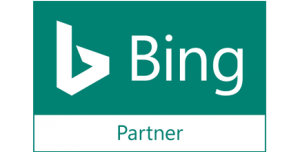 Our Google Partner PPC team cover all areas of paid media, from shopping ads, Google Ads, Bing and Yandex to dynamic remarketing and specialist mobile campaigns. We build websites that drive high-quality traffic and crucial leads. All our sites are built fully optimised for SEO and deliver great user experiences from the start. For over 10 years, we have been delivering measurable results with absolute transparency for some of the worlds leading brands and start-ups – SAP, London Stock Exchange Group, Tate, Marketo, Sky and many more.